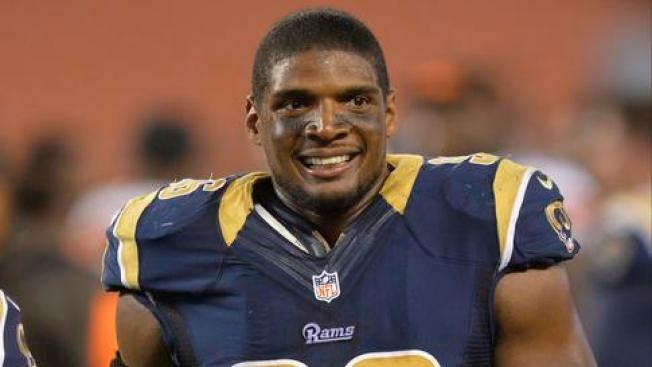 Michael Sam says there are "a lot" of gay players in the NFL and some have reached out to him. The Fort Worth Star-Telegram reported Sam gave a speech Thursday at the Dallas Holocaust Museum and took questions from the audience. Sam said: "I'm just saying there is a lot of us." He added he'd never out a player who confided in him, but "there's some famous people." Sam came out before last year's NFL draft. The defensive end from Missouri was selected in the seventh round by the St. Louis Rams and cut in training camp. The Dallas Cowboys signed him to their practice squad but released him in October. He's currently a free agent. Sam revealed he's not talked to his father since Michael Sam Sr. criticized his son's sexuality shortly after he came out.